Hello Altenew fans, it's December 1st :) and the most beautiful (in my opinion) Buid-A-Flower set is being released today! Introducing the BAF:POPPY. 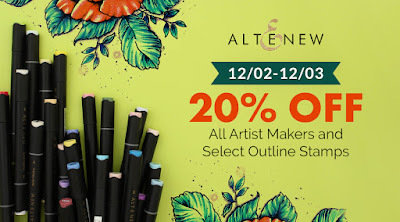 To celebrate this release, Altenew is giving away a $30 gift certificate to 5 lucky winners! 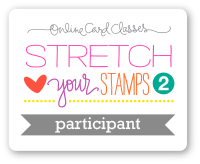 Please leave a comment on the Altenew Card Blog for a chance to win. 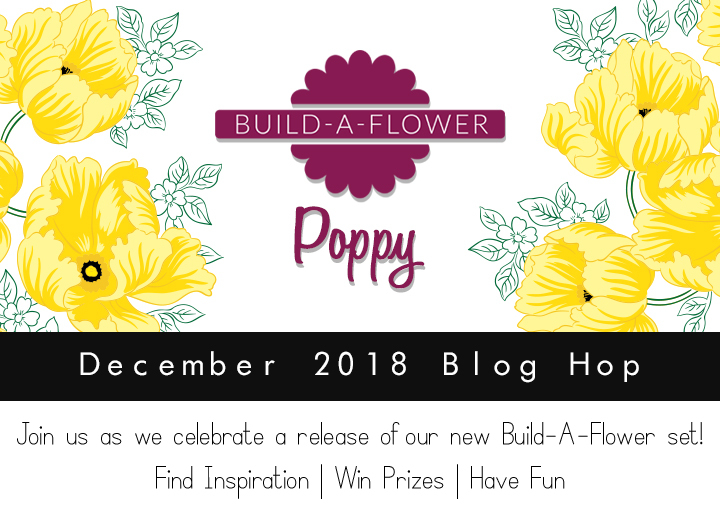 Five winners will be announced on the Card Blog on 12/9/2018. Take a look at the multi-step layering guide below. 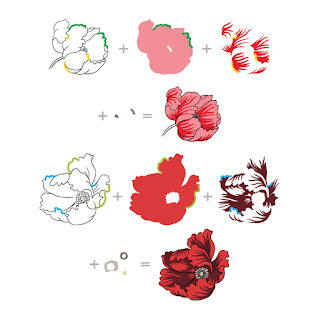 This really is a simple set to line up, achieving two different sizes of detailed poppy blooms. 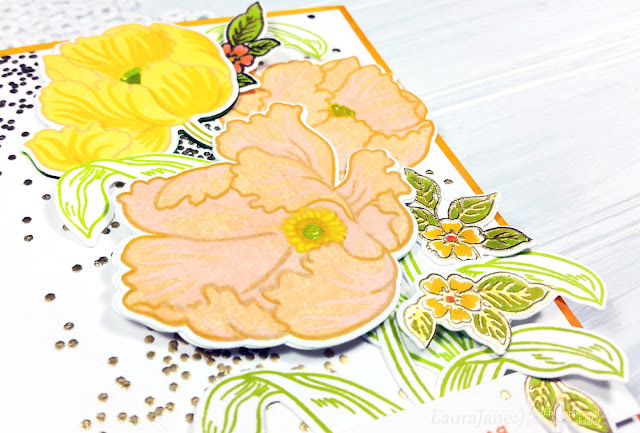 I stamped all the poppy layers in the Buid-A-Flower:POPPY set with Crisp Inks. Then die-cut them out using the coordinating dies. The tiny flower clusters are heat embossed with Antique Gold Crisp Embossing Powder. Even those lovelies have coordinating dies to make it easier to cut out:) YAY!! I quickly colored them in with the Artist Markers. Then popped the Poppies and several stems onto a White cardfront trimmed to 4" x 5.25" that had the Kind Confetti Stamp Set heat embossed with Antique Gold Crisp Embossing Powder as well. Then matted it with an A2 panel with edges ombre colored with Artist Markers to perfectly match the fresh poppies! My next card was inspired by the lovely Therese Calvird and her card from this video, using an Embossed with Dies technique, which gives an elegant look, but is most difficult to photograph! You can see a hint of the Embossed with Dies technique in the photo below. Then used the coordinating dies to emboss around each bloom for subtle texture. see the video by Therese for more details on the technique. 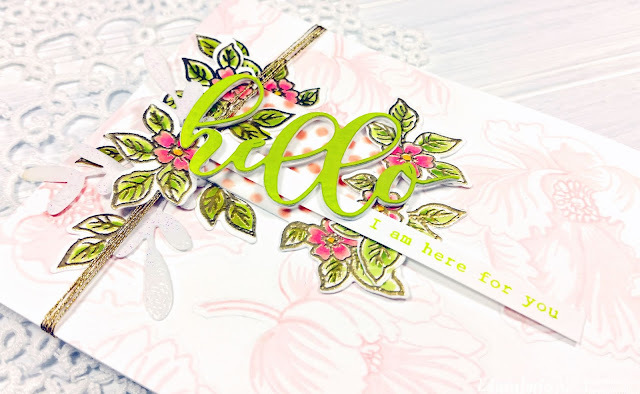 Placed a tiny white tag, dotted with Rouge Artist Marker inside the "frame"
Nestled the sentiment banner inked with Bamboo under the "hello"
I hope you are inspired by my cards today! Your next stop on the hop is Jung AhSang. 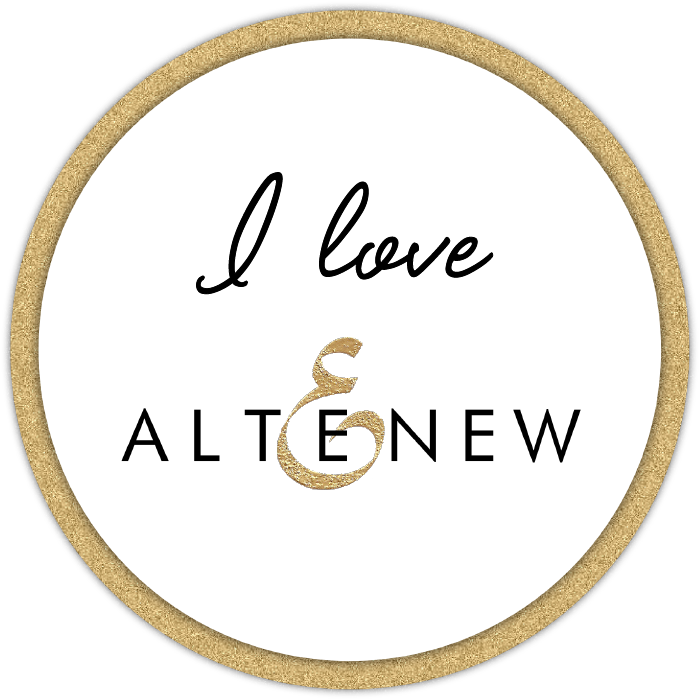 Don't forget to leave a comment here on my post for a chance to win a $20 GC at Altenew. I will announce the winner right here by 12/6/2018. My favorite is the pink poppies embossed with the die cut. Beautiful! CONGRATULATIONS KIM! Please contact winner@altenew.com by 12/15/2018 with the subject line BAF: Poppy Release Blog Hop Winner from LauraJane's Blog. Enjoy the rest of the hop!!! 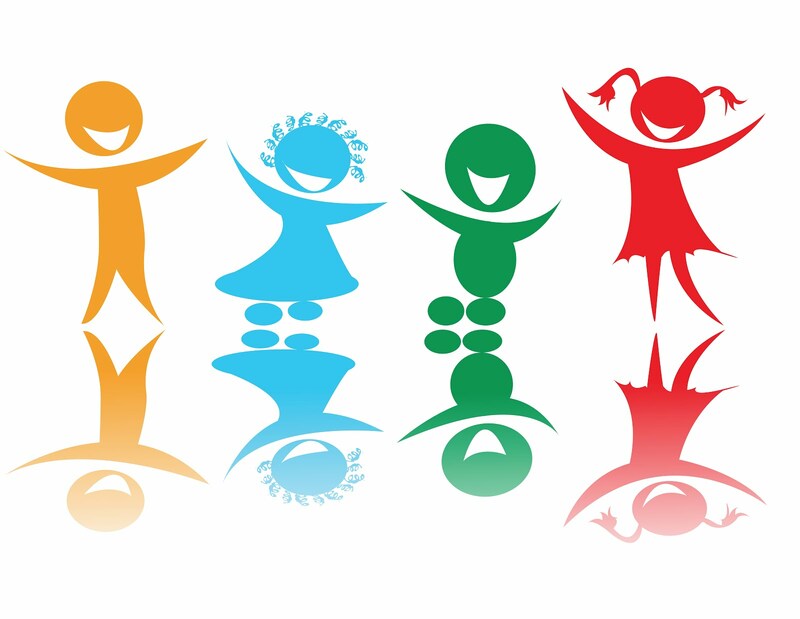 ****I am part of Altenew's affiliate program. Which means I earn a small commission at no additional cost to you every time you click through and purchase product(s) linked in this post. Thank you for your support! Check out the full November 2018 New release Here. This times BAF release from Altenew is gorgeous and your cards have done total justice to this gorgeous set! Both your card designs is so unique and absolutely wow !! Love the techniques you used! an amazing design, as well as amazing coloring . So pretty as your usual. Thanks for sharing these lovely cards. Lovely cards! 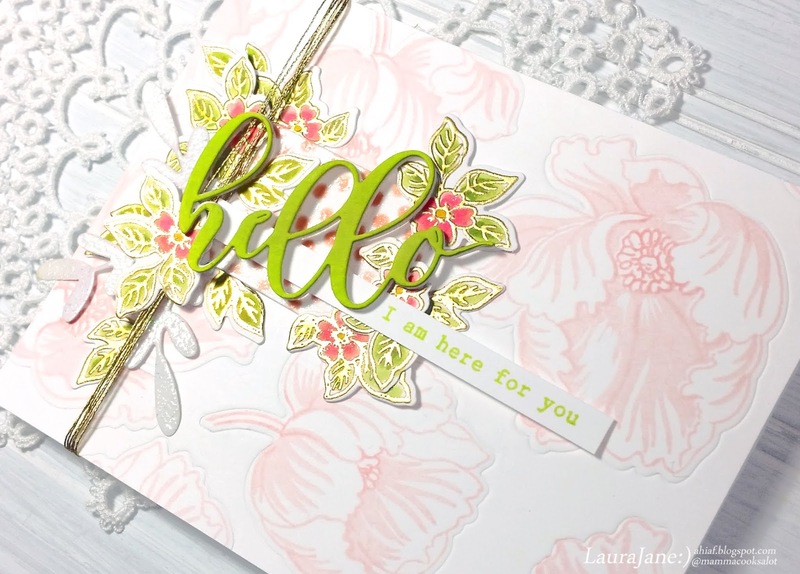 I especially love the soft pink poppies to form that soft background, with the vibrant chartreuse die cut over top - it really makes the colour pop. Another different colour choice that looks lovely. Such beautiful cards! I love the bright colors!! Beautiful cards! 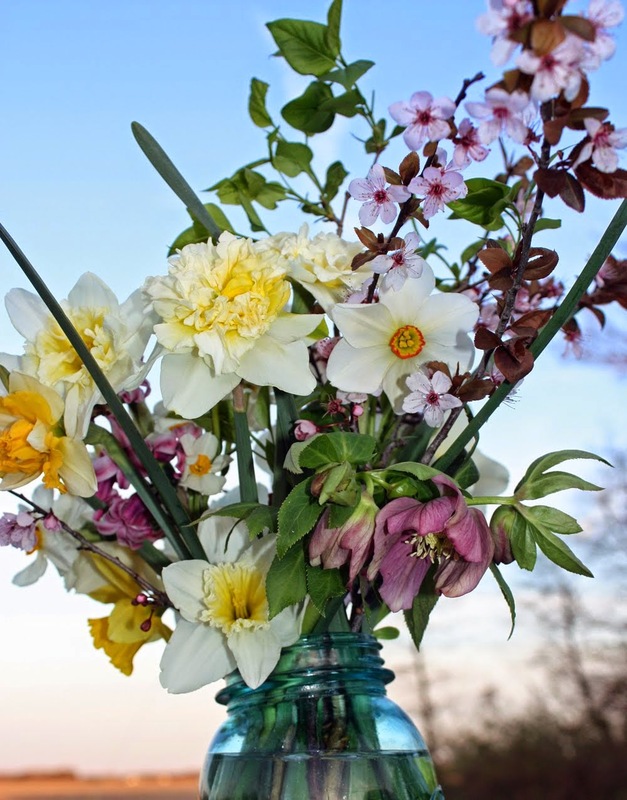 :) I love the colors you used for your flowers. 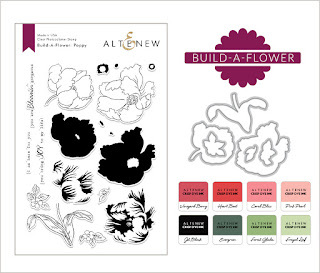 Altenew's floral stamps are out of this world - and this new BAF set is stunning! Oh dear! My wish list just got longer. Lovely cards! 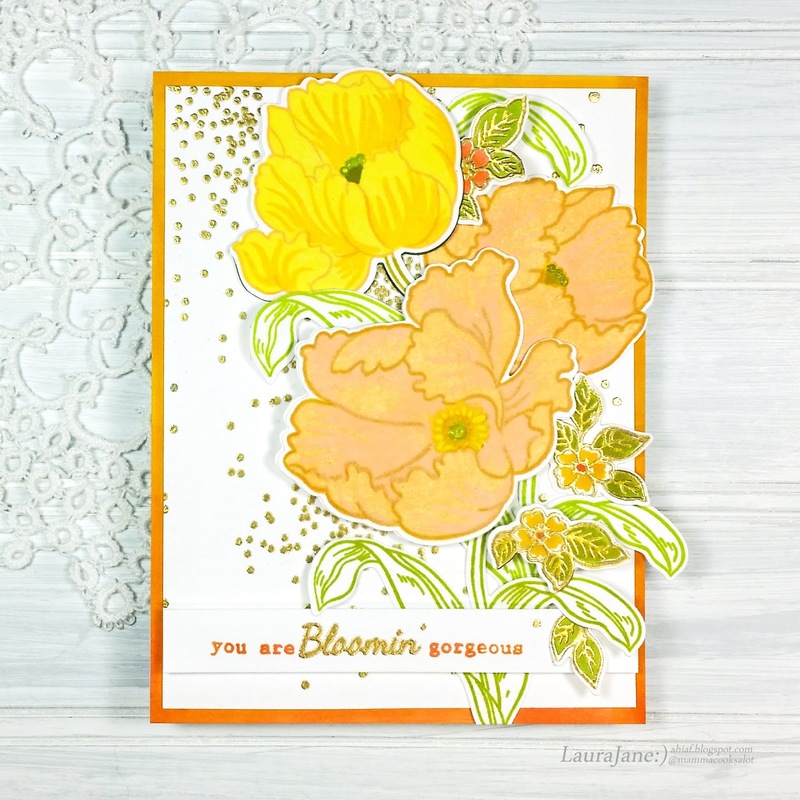 Your cards are gorgeous and a great use of this beautiful poppy stamp! And your cards are just a scrumptious as the layered poppies! Beautiful. So pretty , love the stamp set ! I’m in love with the subtle peachy background using the poppy stamp set! Beautiful! Such beautiful cards and inspiration! Love the poppy set! Beautiful cards 😍 Love the light pink in the background. Poppies are beautiful in any color. Love the yellow. Made me smile. Oowww, very pretty looks on both these cards, so beautiful in a different colour combination to the traditional reds, another triumph inspiration from you Laura Jane. I love the stunning and bright color combination of the bright green and the vivid yellow! It gives the poppy a fresh, modern twist and looks amazing! The yellows and citrus colors are STUNNING! Your cards are gorgeous. Such beautiful stamp set. 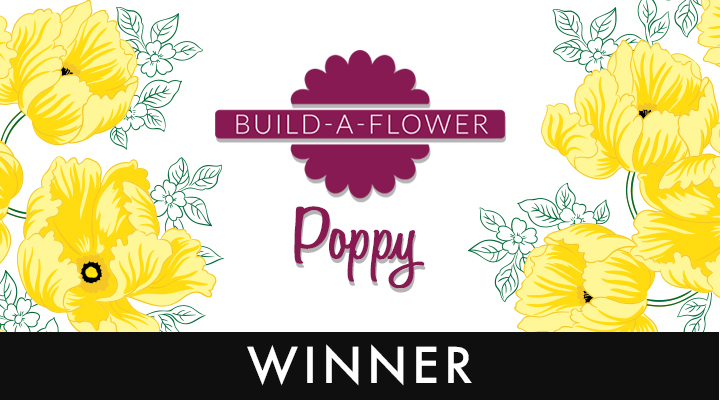 Oh my gosh I’m speechless at the stunningly beautiful peach and gold on your poppies! Just so gorgeous and the green makes them pop even more! So creative! Just love!!!! These are exquisite. Love those flower clusters done in the gold. What luscious colors you chose. Your cards are beautiful. The use of lemon is fabulous. Such lovely cards, the colors are heavenly. 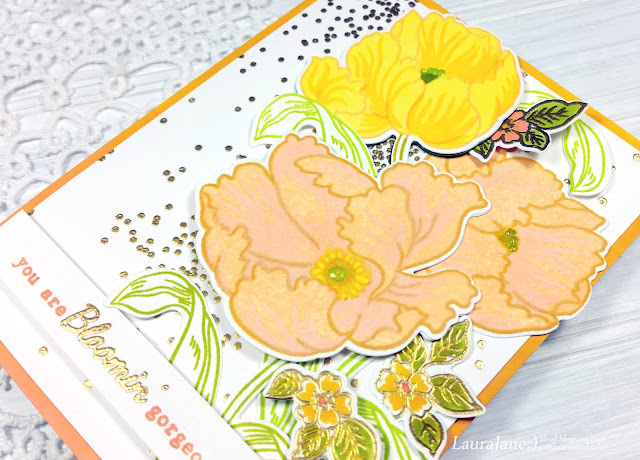 Poppies are such beautiful flowers and they do make gorgeous cards!! love the background you created! it's so pretty, thanks for sharing. This has been an excellent release! 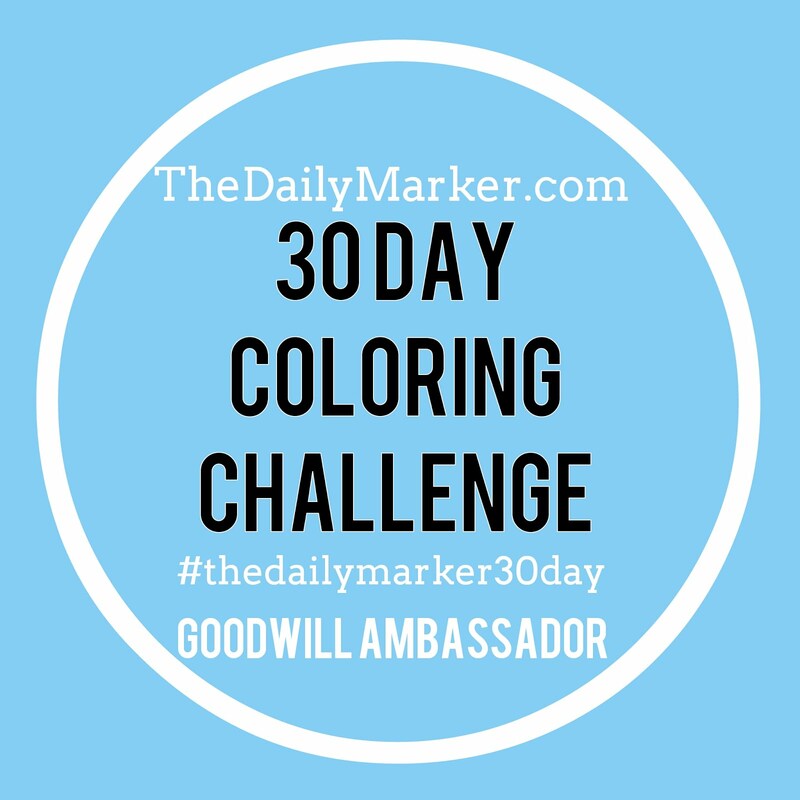 There are so many great projects and yours are gorgeous!!!! These are beautiful! I love the pink embossed one. I like how the stamping is soft and blends into the background so well. Love your cards! Especially like the hello card. Your cards are absolutely gorgeous. I love the soft colors you chose to color your poppies. Thanks for sharing your time and talent with us. I feel like this stamp set is right up your alley (though I'm not sure I could articulate why). Certainly you have made them your own with your color choices. The yellow poppies look like they could have popped right off your hat! Thanks for sharing your beautiful ideas with us. I LOVE the colors you used. I also loved the stamping without the black outline. Gorgeous! So pretty - love the color combos!!! Hi Laura Jane. Your cards are delicious! Love them both, so thanks for sharing. All you girls are giving us such wonderful inspiration and you're all using different colours too, which is also great! 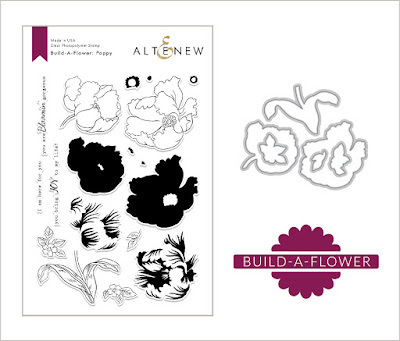 This is a fabulous build-a-flower stamp set - one I MUST HAVE! lol. Your cards are quite lovely!! The background on your second card is gorgeous! Great cards! I love the subtle background of the hello card. So pretty! Beautiful card Laura and I love the bright colors! So pretty and fun. Your cards are so pretty. I love these poppies. I absolutely love the coral and and yellow poppy! Both of your cards are beautiful! Both cards are so gorgeous! 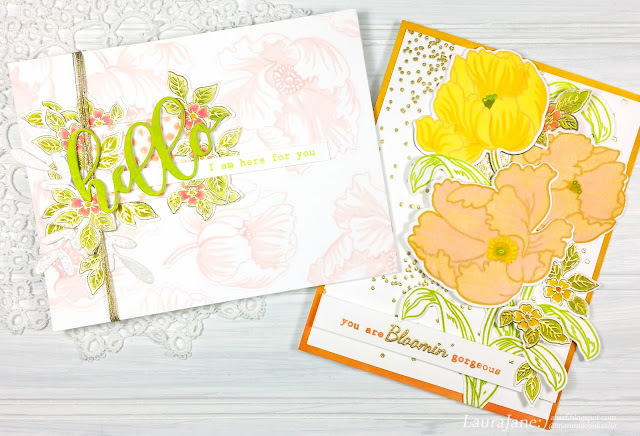 Beautiful cards, love these techniques especially the soft look of the repeated flower stamping for the background - such a different look without the solid layer! 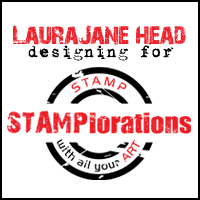 Thanks for showing yet another way to get more out of these lovely layering stamp sets. Two totally different cards and two beautiful looks. Wow! Thanks for the directions, too. Absolutely beautiful card designs !! These cards are so gorgeous! Love the new BAF set. The poppies are beautiful. So beautiful - I am in love with the dainty little pink flowers with the gold embossing! and I LOVE that subtle background!! The cards are so different, but equally gorgeous! The embossed species on the one and the outline background of the other. Thumbs up! glorious cheery colors and designs! So many ways to present this beautiful flower-and I can't wait to play with this new release myself! I love both of your cards, but my favorite has got to be the second one with the pink peonies in the background! Gorgeous! I am in love with this stamp set! 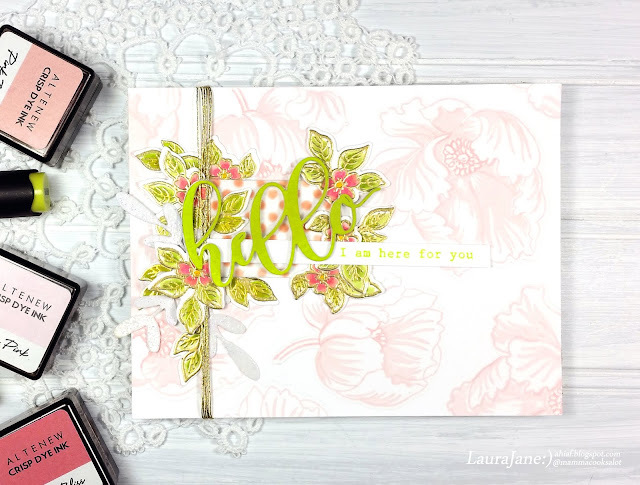 Laura Jane, I love the background on the Hello card. So soft and pretty!! The card with the larger poppy is also so soft and pretty. These are lovely stamps. Wow, you always manage to blow me away with your projects. Perfectly stunning cards! Your card is very clever. The colors are beautiful together. The gold accents are perfect for your projects. Beautiful!! So pretty! Love the bright colors! I love the confetti on the first one, and those soft pink flowers in the background on the second! Beautiful colors on your cards! Love this BAF set! Very pretty. I like the colors you used. The poppies look great in those colors. You are so creative. Simply splendid to hear from you! 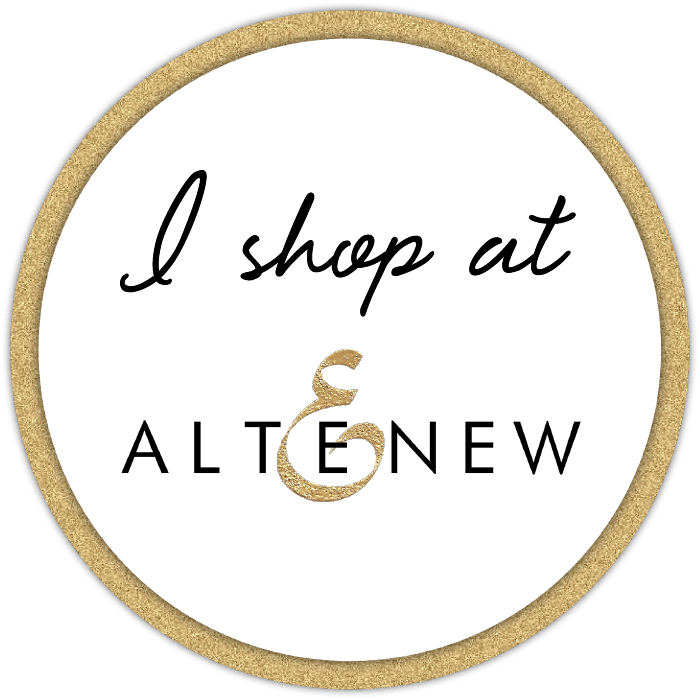 I'm part of Altenew's affiliate program. Which means I earn a small commission at no additional cost to you every time you click through and purchase product(s) linked in posts. Thanks for your support! I'd be TICKLED if you followed me!